Visit the other Bloggers that participated in this tour! "What if you could live forever?". Wow, what a question! It's one that I had to think long and hard about. Living forever would definitely have it's ups and it's downs. THE BOOKS YOU COULD READ! But I can't stop thinking about all the downsides that would come with living forever. Especially having all those around that you love grow old and die, while you live on. I'm not sure that's something I could handle. What would you do if you could live forever??? NATALIE BABBITT is the award-winning author of Tuck Everlasting, The Eyes of the Amaryllis, Knee-Knock Rise, and many other brilliantly original books for young people. She began her career in 1966 as the illustrator of The Forty-Ninth Magician, a collaboration with her husband. When her husband became a college president and no longer had time to collaborate, Babbitt tried her hand at writing. Her first novel, The Search for Delicious, established her gift for writing magical tales with profound meaning. 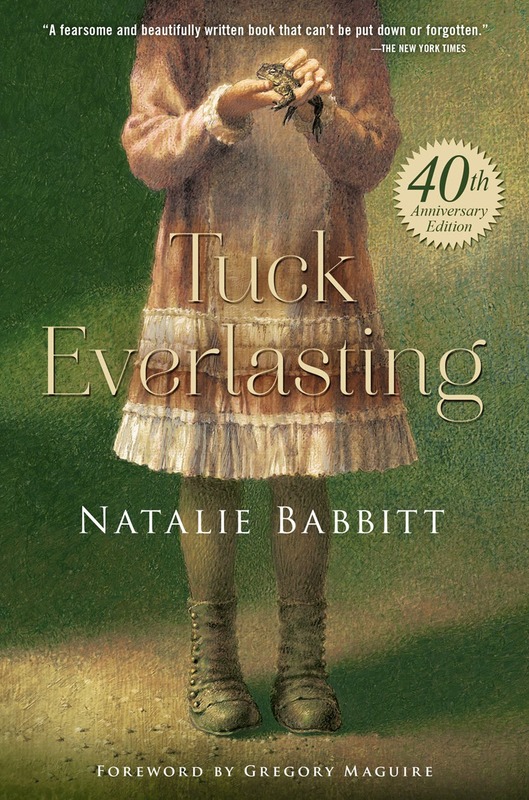 Knee-Knock Rise earned her a Newbery Honor, and in 2002, Tuck Everlasting was adapted into major motion picture. Natalie Babbitt lives in Connecticut, and is a grandmother of three.